Orbital ATK interns from the Dulles and Arlington, Virginia, offices spent the day on Capitol Hill highlighting the company's commitment and involvement in science, technology, engineering and mathematics (STEM) education. 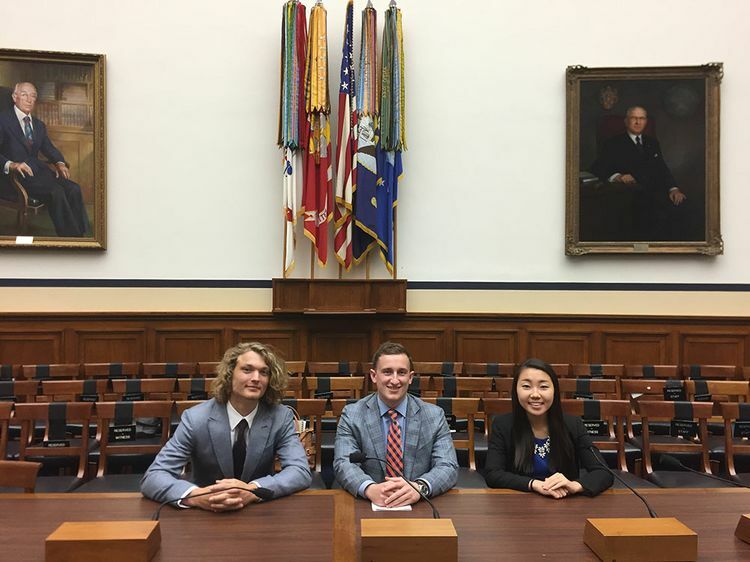 The interns represented both government relations and engineering. While on the Hill, they met with Virginia Representatives Barbara Comstock, Scott Taylor and Rob Wittman, as well as Senators Tim Kaine and Mark Warner. 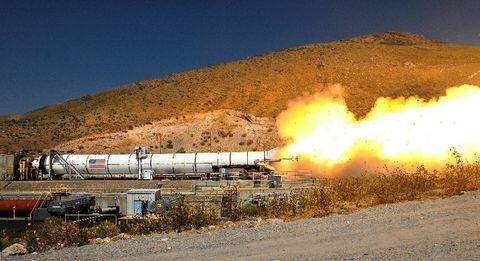 During this visit, the students were congratulated on earning Orbital ATK internships and encouraged to continue their hard work in STEM fields. 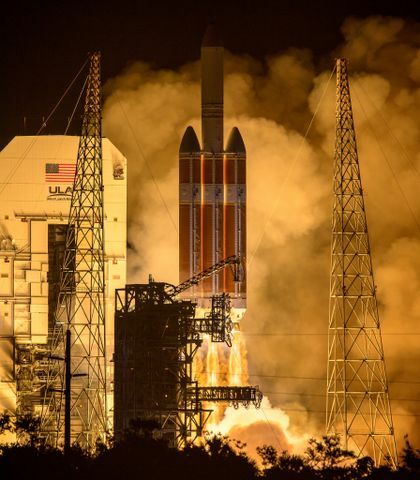 Orbital ATK was also thanked for the time and effort put into promoting STEM initiatives in the community. 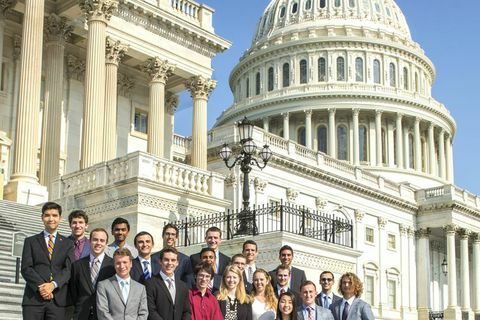 Orbital ATK interns visit the United States Capitol to highlight the company's efforts in supporting STEM education. 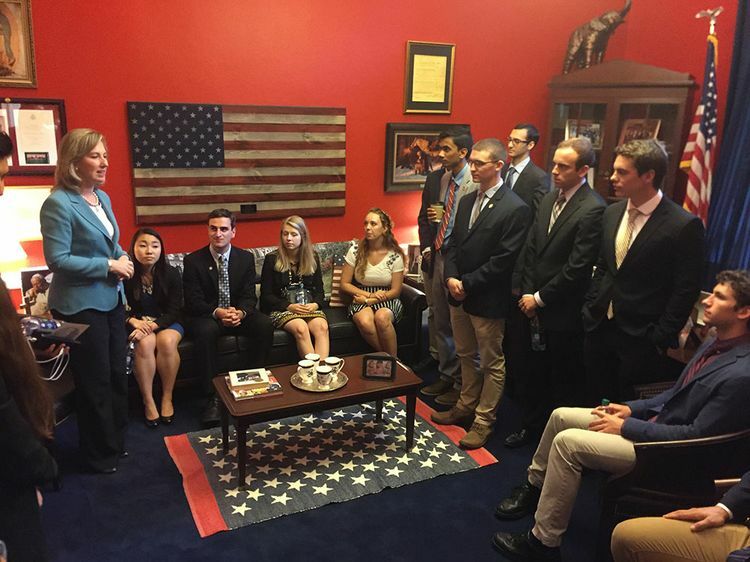 Orbital ATK Interns meet with Representative Barbara Comstock at the Capitol. 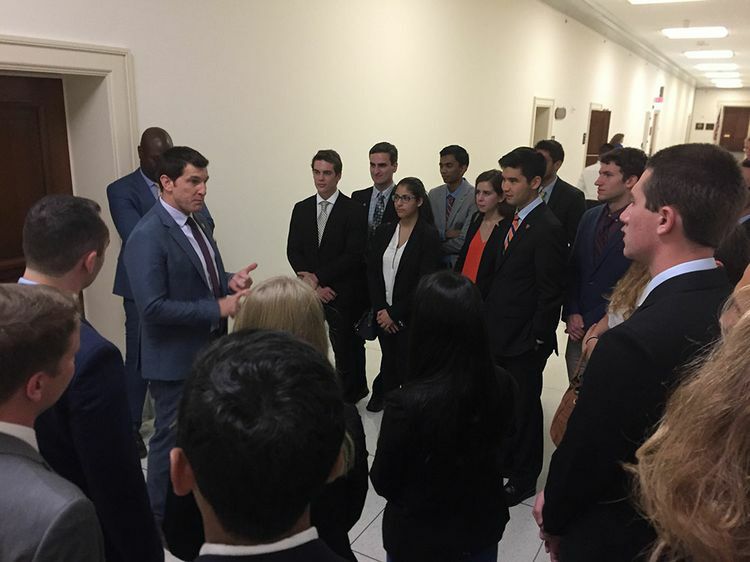 Representative Scott Taylor talks to the interns during their tour. 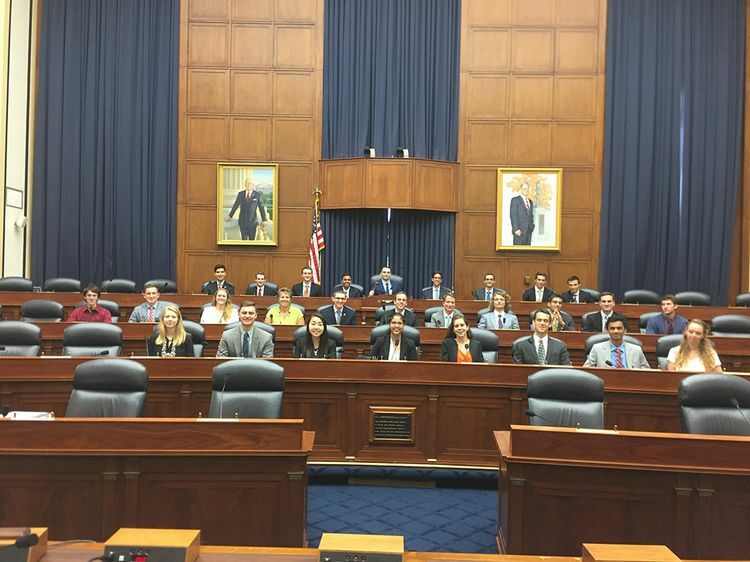 The students took the opportunity to spend some time in the hearing room during their tour of the Capitol. 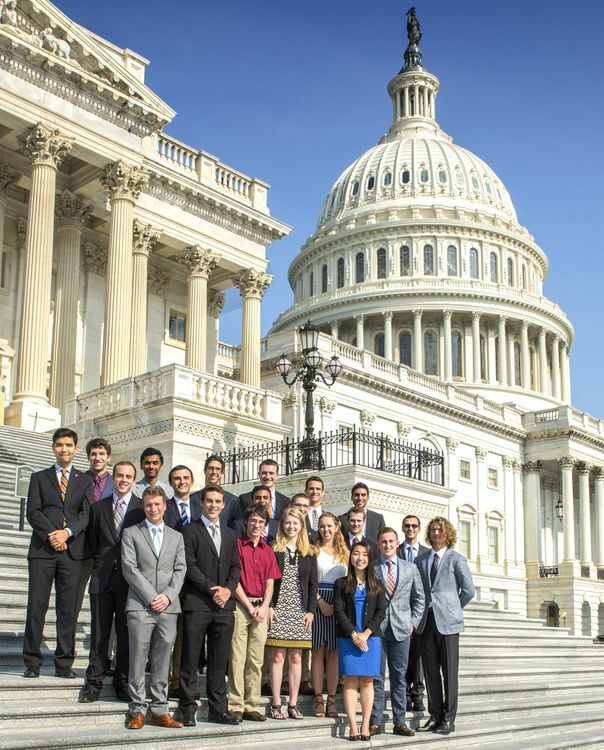 Interns in Orbital ATK's Government Relations program take a break from their tour for a photo.